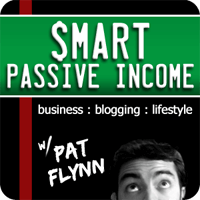 In this session of the Smart Passive Income Podcast, I have the pleasure of interviewing multi-millionaire entrepreneur and recent author MJ DeMarco, who recently published a fantastic book entitled The Millionaire Fastlane. I was asked by a number of SPI readers to get MJ on the show for an interview. I’m really glad I did because he and his book totally blew me away. As you’ll hear in the podcast, I was actually a little hesitant to bring him on the show at first because he talks a lot about getting rich quick, which we all know is an instant warning for something scammy or fishy. However, you have to listen to the podcast to really get a feel for where he’s coming from and you’ll realize that there is such a thing. I’m a perfect example, because although I don’t consider myself to be extremely rich, I know I am fairly well-off thanks to my online businesses, and it was only a little over 2 years ago that I was brand new to this industry. 2 years is definitely quick in the grand scheme of things. Whether you’re still stuck in the grind or you’re already working for yourself and want to get in the right mindset to take things to the next level, this session is for you. The podcast just received its 100th 5-star review on iTunes! Thank you so much for your support, and if you have yet to leave a rating or review, please leave me an honest one on iTunes by clicking here. It will help the show and its ranking in iTunes immensely! I appreciate it!  In this session of the Smart Passive Income Podcast, multi-millionaire entrepreneur and recent author MJ DeMarco comes on the show to share his story. Exactly how MJ got started as an entrepreneur and the one moment in his teenage life that changed his whole mindset about who can become extremely successful. How he landed on a multi-million dollar idea while working in one of his dead-end jobs. Why he sold his company, twice. Why MJ calls himself “The Get Rich Slowly Anti-Guru”. An explanation of “The Sidewalk”, “The Slow Lane”, and “The Fastlane”. What a person needs to do, and the avenues that one can take to get into “The Fastlane”. What to do when you feel like you don’t have time to work on your own businesses. The difference between being interested, and being committed. How time plays a role in the mindset we need to find success. The law that one must implement in their own businesses to make sure they give themselves the best chance to accelerate their wealth. What to do when you are met with opposition when trying to build your business and succeed in life. MJ’s thoughts on selecting the right market to get into if you want to start your own business.